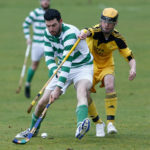 Red Star travelled to Glasgow Green on Saturday November 3 to take on unbeaten Kings Park and despite putting in an improved performance came away empty handed in a tight contest. The first half began with Star shooting into the strong wind which was making it difficult for both sides to get their passing game going although both sides were keen to play the ball on the deck as much as possible. Kings Park had the chance to open the scoring before half time when Connor Crawford was harshly judged to have blocked a shot with his hand in the box and the referee was keen to point to the spot. The striker stepped up and saw his effort saved by the outstanding Kalache in the Red Star goal who pulled off his third penalty save of the season. 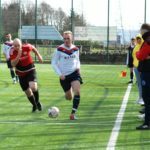 Star should have taken advantage of this and had the chance to take the lead on the stroke of half time as Gregor Peacock beat the offside trap and raced clear, however the striker pulled his shot wide of the target and it remained 0-0 at the break. Into the second half and as the game continued to flow from end to end, it was the home side who got the breakthrough. 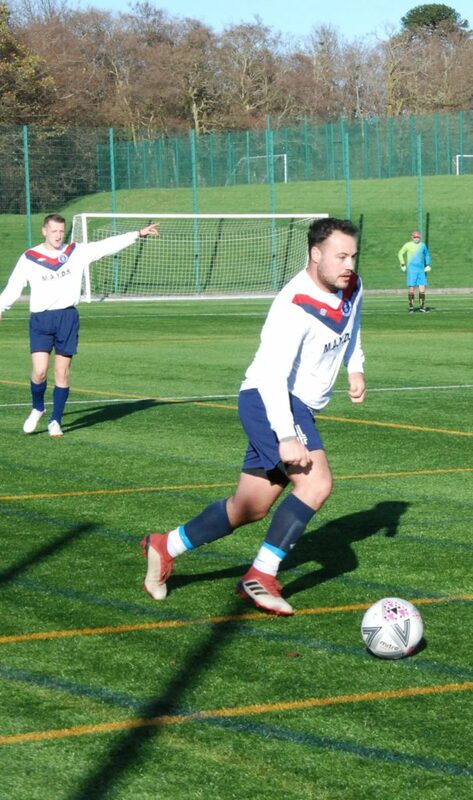 Star lost possession in midfield and Connor Crawford’s clearance was closed down by the Kings Park forward whose shot beat Kalache from the edge of the box and the hosts took a 1-0 lead on the hour mark. This visibly knocked the confidence of the Star team and Kings added a second goal when poor play again from Star trying to break gifted possession to the hosts and once again their striker was on hand to make it 2-0 and give Star a mountain to climb in the last twenty minutes. Star didn’t give up however and could have been back in the game when the ball fell to Gregor Peacock in the box, the returning striker hit the shot and the ball was saved by the Kings Park goalkeeper. Kyle Selfridge went close to claiming a late lifeline but his free kick from twenty yards cannoned off the bar and the game finished 2-0 to the home side. 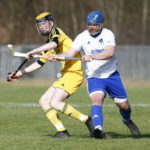 The Star management team were disappointed as that’s the first time the Lochgilphead side have failed to score in the league in more than two years. On Saturday November 10 Red Star play host to Campbeltown pupils in what looks like another tough league match. The Argyll Derby kicks off at 2pm and will be played at the Ropework or Joint Campus 3G, weather permitting.